Happy 2018! We’re already over a month into classes at Troy University, meaning that there’s a lot of great performances and events coming up. I have a faculty recital at the end of February, and Sources Duo will be in western Tennessee for performances and masterclasses in April. In addition to some solo and duo performances, I have several orchestra concerts with a Northwest Florida and Sinfonia Gulf Coast coming up in the next few months. 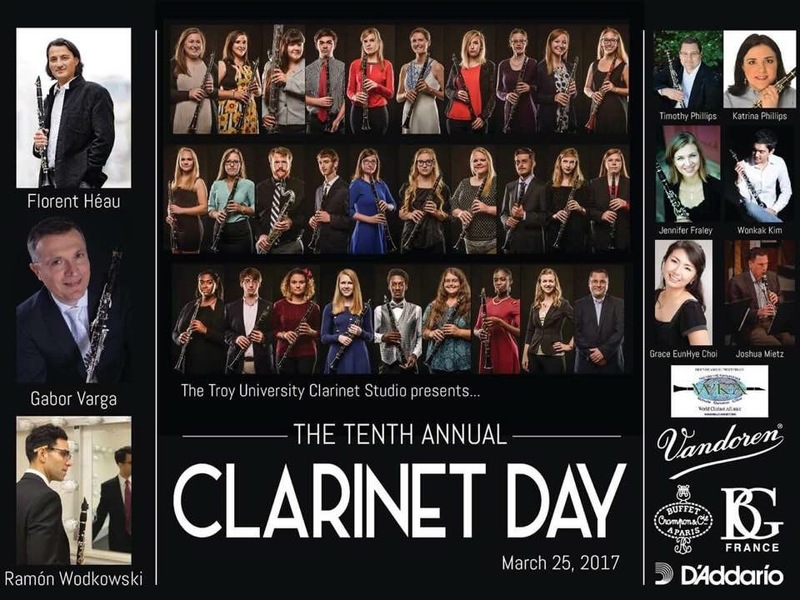 One of the big highlights of the spring semester is always Troy University Clarinet Day (in March 24th this year) – we have fantastic guest artists, vendors, and a massive clarinet choir! This year’s guests include: Maria Du Toit, Michael Lowenstern, Phillip Paglialonga, and Wojtek Komsta. Check out the Troy Clarinet Studio page if you’d like to attend! 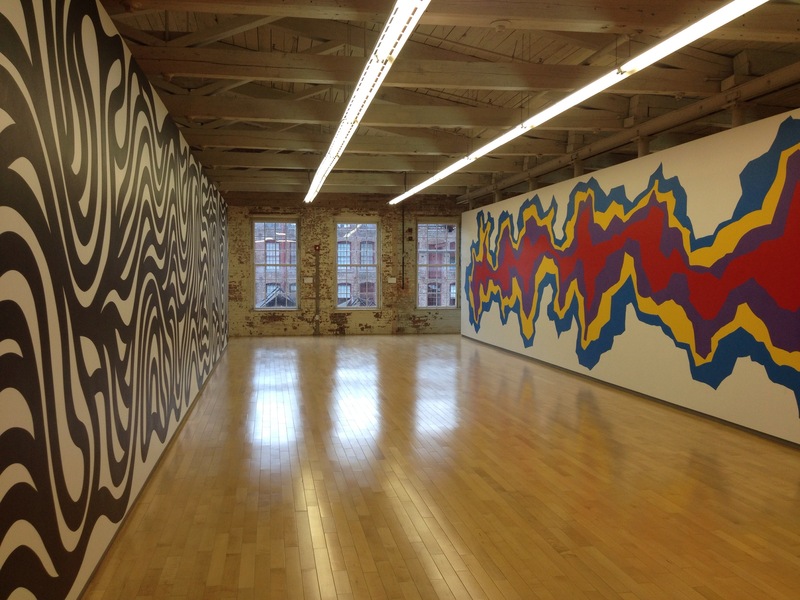 This past fall was filled with wonderful opportunities, and some pretty exciting news for me! In late October, I joined the artist roster for Yamaha Woodwinds, and am very proud to represent a company that not only produces great clarinets, but spends a great deal of energy promoting music education. (If you haven’t seen their music education magazine, you can read a copy here.) At the beginning of the month, my husband and I braved the big New York snow storm to visit Yamaha’s Band and Orchestra division office in Manhattan. My clarinets got some much needed attention from the amazing Tomoji Hirakata, and we did a bit of video for a Yamaha project coming up in the next year or so. 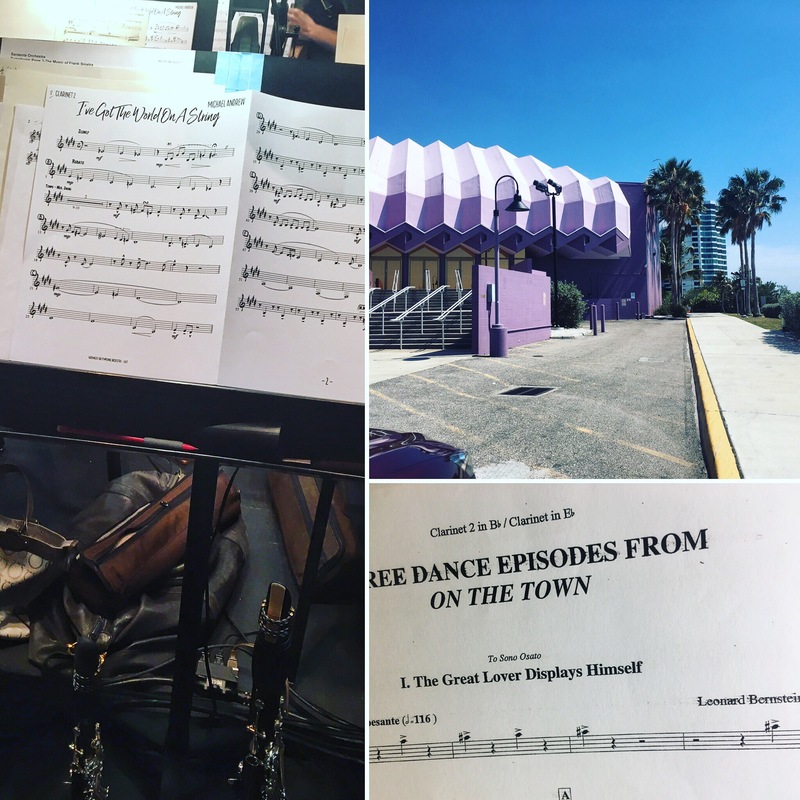 I took January off from the E-flat Clarinet Project blog, but I’m ready to start back in with more posts, repertoire updates, and hopefully some new resource sections. I always love getting input from other clarinetist, so feel free to contact me with any E-flat clarinet repertoire, news, or topic requests! My final project for the spring will be recording the last two pieces for my solo E-flat clarinet album. I recorded two fantastic works with pianist Hui-Ting Yang in December, and I can’t wait to share the final product with all of you! 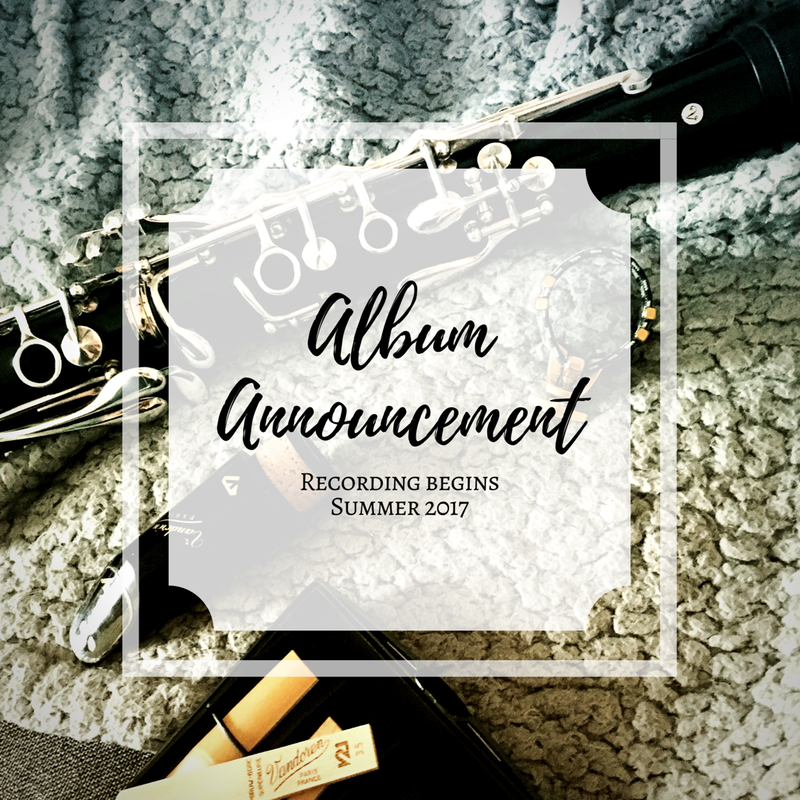 I’m excited to share that I will begin recording my first album this summer! I have been working with pianist Gracie Jennings since I first started commissioning solos for E-flat clarinet, and am thrilled to have her join me on this project. We will be recording a beautiful sonata for E-flat clarinet and piano by composer Ethan Wickman, as well as the piano reduction version of an E-flat clarinet concerto written for Stephanie Thompson in 2013 by Stephen Dankner. As of right now, there will be one or two unaccompanied pieces, and one other possible chamber piece. I will continue updating as the composers finish up their writing! 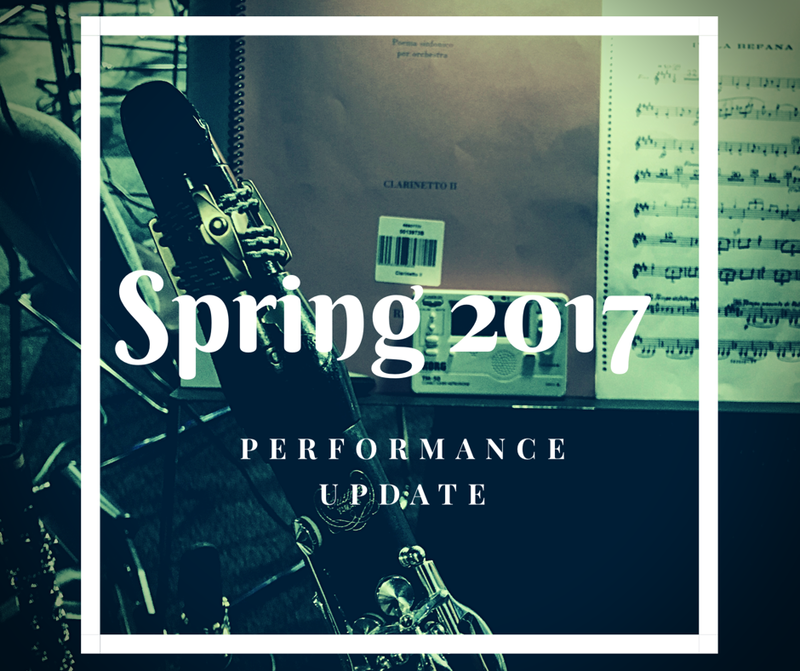 Some sneak peeks will be coming in the next few months, so check back E-flat clarinet enthusiasts! January and February have been very busy, not only with the beginning of the spring semester at Troy University, but with several performances. I was fortunate to play with a few Florida orchestras in January, immediately followed by a Sources Duo clinic at Lee University in Tennessee. Ben and I have been working on a lot of new educational material, and are excited to share some new clinics and programs this year! One of the highlights of the semester so far has been my performance with Dr. Timothy Phillips as soloists with the Troy University Symphony Band. We performed Battling Boggarts – a catchy, soundtrack inspired piece that is a lot of fun to play! 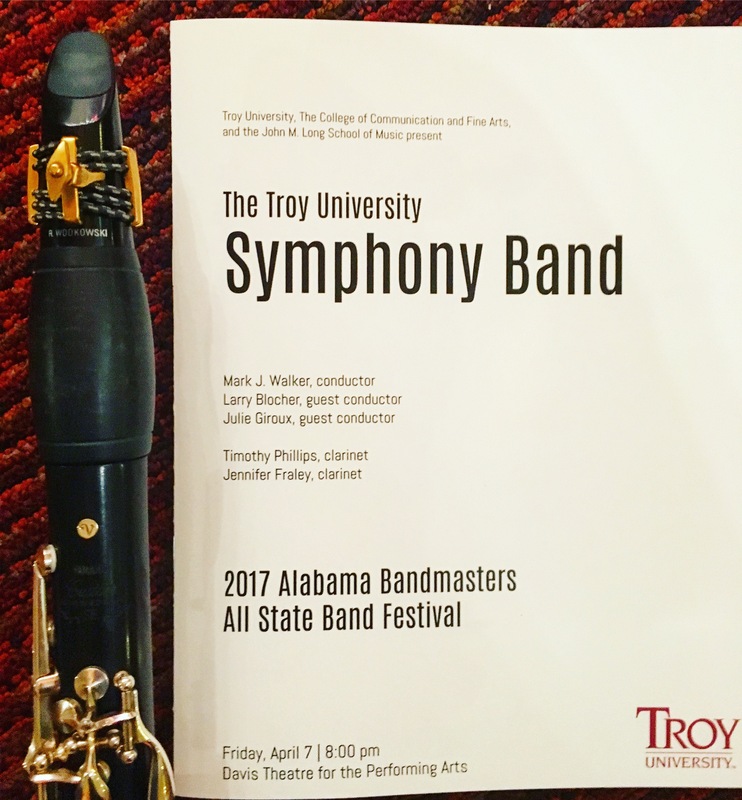 We couldn’t have asked for a better audience, as this performance was the evening showcase concert for the annual high school Southeast United State Band Clinic – an event that brings several hundred students to the Troy campus for honor bands and masterclasses. Up next: my March faculty recital and Troy’s Tenth Annual Clarinet Day! 2016 has been a busy year for Ben and me! We both have kept up regular performances with regional orchestras, in addition to our teaching and solo work. Our duo had a fantastic tour of Wisconsin in April. One of our stops was my undergraduate school, University of Wisconsin- Eau Claire – it was amazing to see the great things happening in the music department and the development of the campus! Ben and I were married this past summer as well, so that sort of interrupted our regular summer music activities! We were selected to play at ICA’s Clarinetfest in Lawrence, Kansas in August, so we were right back to rehearsing after the honeymoon. This fall, I started full-time at Troy with applied clarinet, accompanying, and class piano courses. 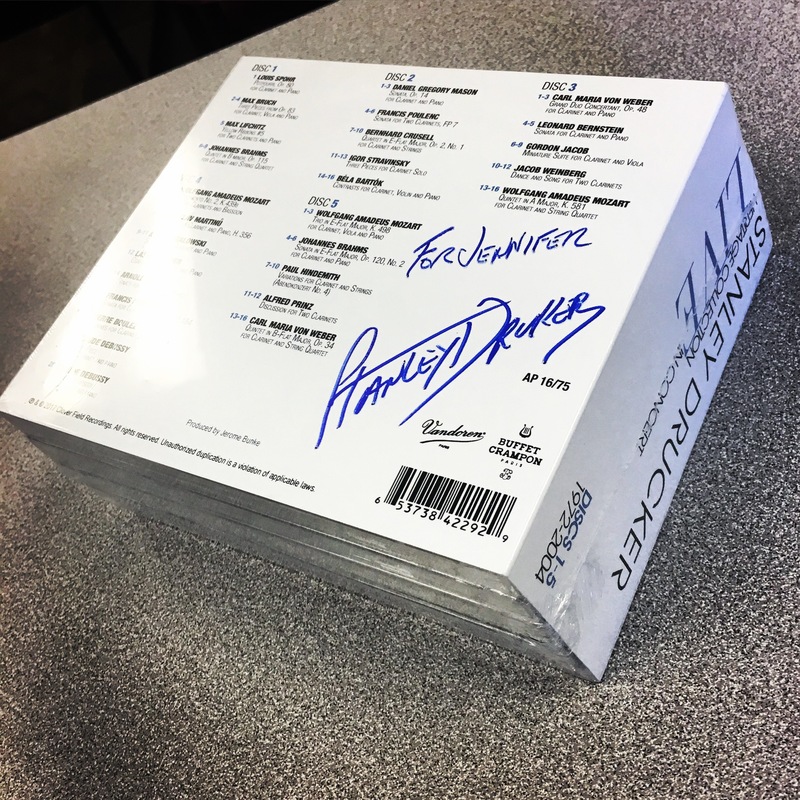 It has been challenging to keep up with the crazy schedule of teaching and performing, but it is paying off as I see so many students start to understand what it takes to major in music. It is almost finals week here at Troy. We are all looking forward to winter break and coming back fresh for all of the spring semester projects! We’re starting to check some pieces off our performances lists as the concerts pick up at Bang on a Can! 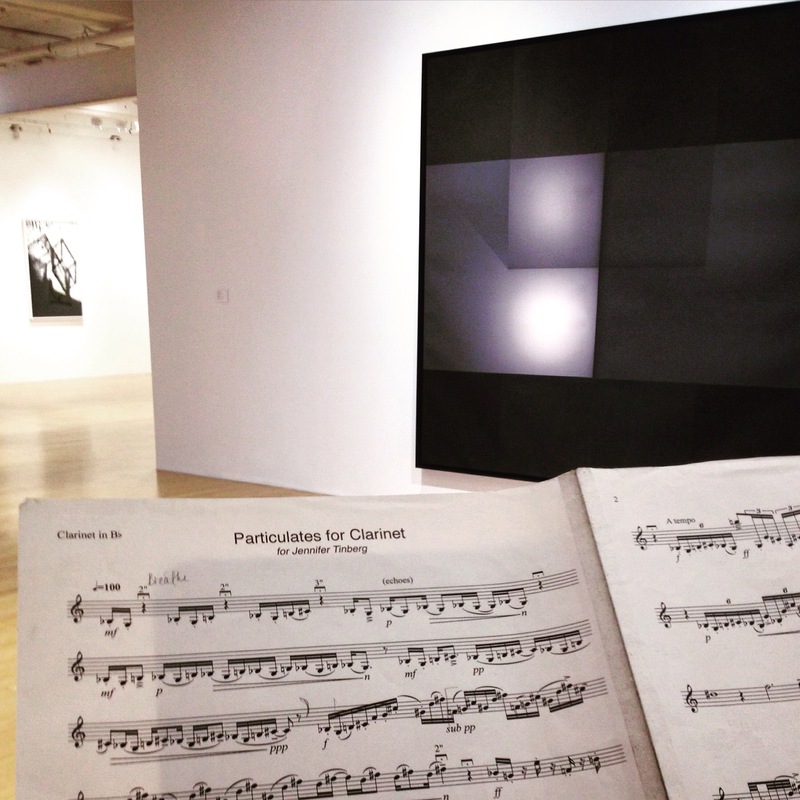 I loves performing Phillip Sink’s Particulates in the Artists Choice gallery yesterday. The multi phonics were a hit. Looking forward to some rehearsals and performances this weekend leading into the last week of the festival! I finally got the blog synced to my phone! Hopefully I will be able to do some regular updates now. The days are pretty full from 9am to 10pm. I will get some pictures up eventually! 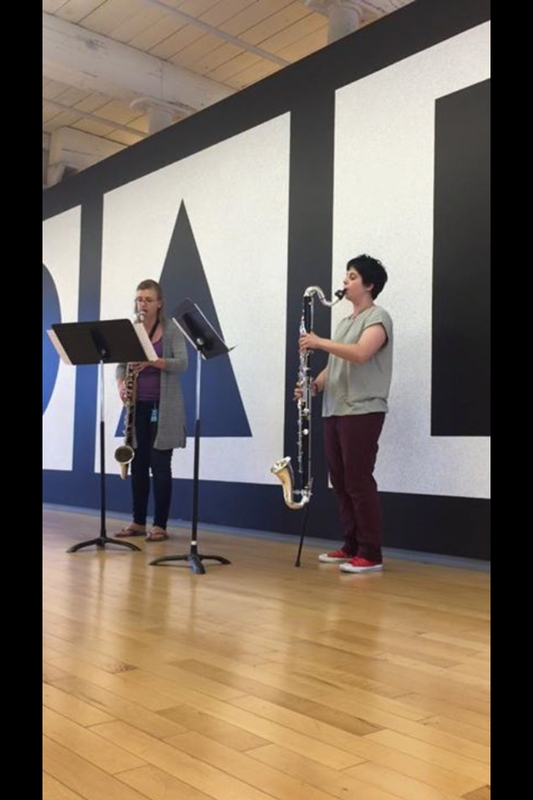 I played a duo with the other clarinetist today for the midday gallery concert in the Sol Lewitt exhibit. Looking forward to playing Danny Clay’s piece for Sources Duo with one of the percussion fellows tomorrow!